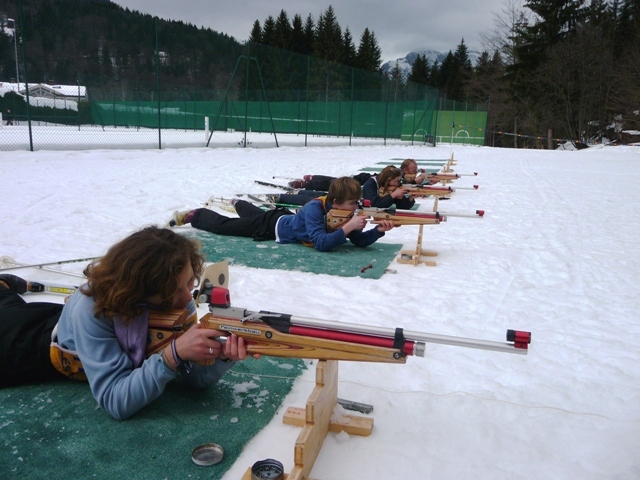 The Biathlon consists in combining Cross Country Skiing and Air Rifle Target Shooting. An Olympic event since 1960 at Squaw Valley when it was introduced for men and 1992 at Albertville for women, the Biathlon is in constant progression. 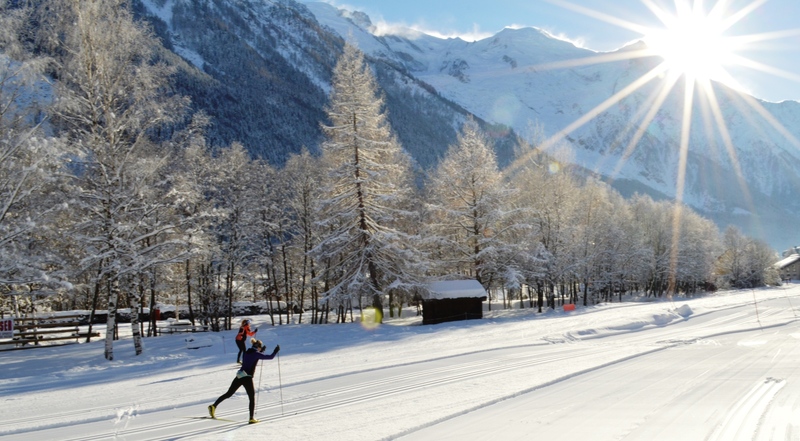 We offer three Biathlon locations Chamonix, les Houches for beginners and Argentière for intermediate/advanced, under the supervision and guidance of a qualified instructor. 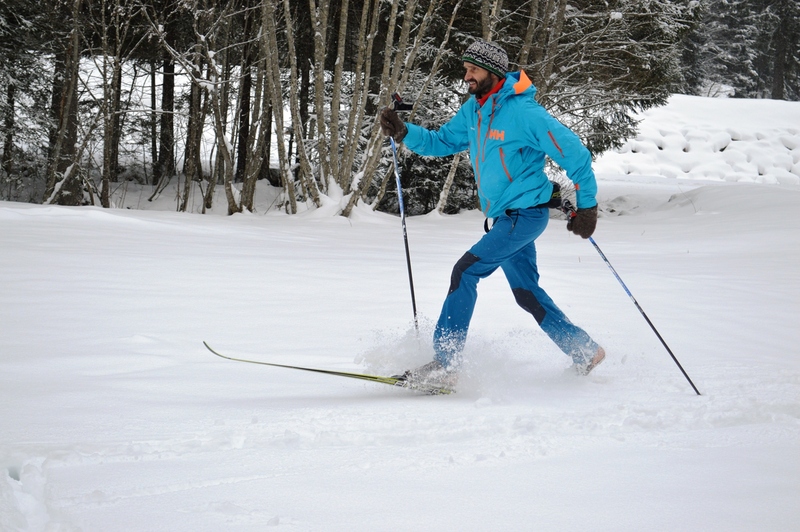 Combining concentration necessary for straight shooting plus physical “determination” for the skiing, this sport offers a complete physical and mental challenge. 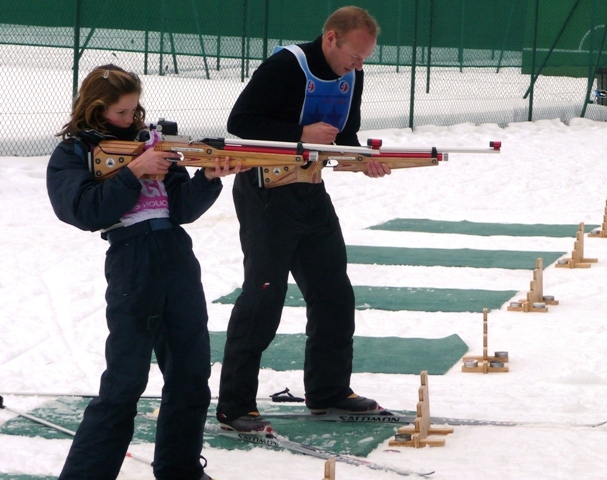 Biathlon is an activity fun and amusing, that corresponds to adults, kids, family’s or groups. There is no minimum number of participants required!